I grew up in a small village in Wiltshire. There used to be a goat tied to the phone box and there was one bus a week to the nearest town. Today the population is 600 and they’ve built a housing estate since I left over 20 years ago. It was not a hot bed of contemporary culture. When I was 15 my Mum took me to London to see an exhibition of Monet's most famous paintings - Monet in the 90s. It's still the third most popular RA exhibition ever. We got the bus to London which was a big deal, we never went to London. I don’t think I’d ever been to London before. I’d certainly never been to an art exhibition before. 30 years later this still isn’t uncommon, the Sorrell Foundation work with kids aged 13–16 who are interested in art and design. Every year they bring them all to London to visit exhibitions. Once they asked them, who’s been to London, who’s been to an art exhibition? Barely a hand went up. It wasn’t the quality of the art that amazed me, impressive though that was. It was the whole experience. You didn’t get things like that in small villages in Wiltshire. I’d never been to a real art exhibition before. I’d never seen paintings by famous artists. And here I was, so close I could have touched them. I was awe struck. That exhibition was held at the Royal Academy. 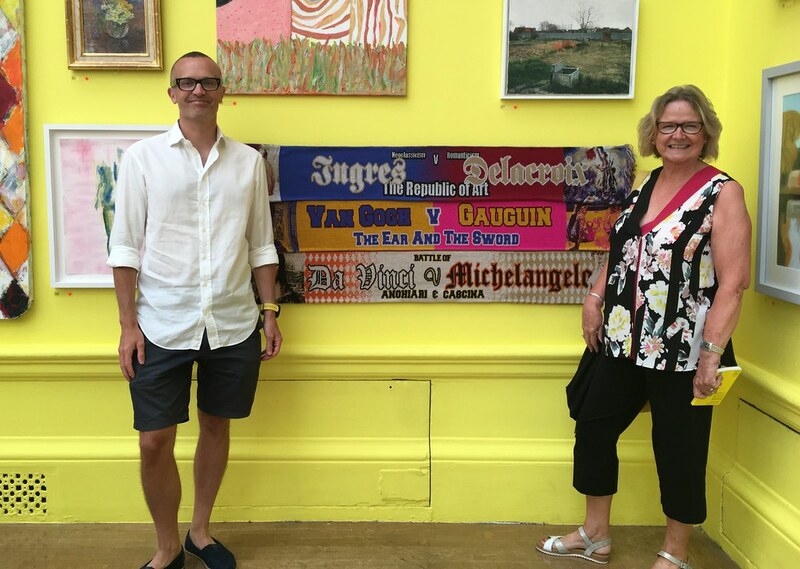 The Royal Academy Summer Exhibition is on until 19 August and features a little piece of work by Russell and I. My Mum came up to visit and we had a great time. We should have made a Monet scarf.